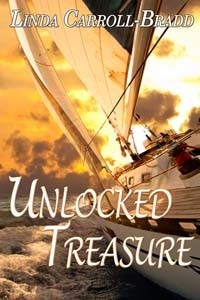 Today my novella set in Rhode Island, Unlocked Treasure, releases from The Wild Rose Press. TAGLINE: Will a prophecy keep a lonely woman from accepting the promise of adventure? Rafflecopter contest–During release week (today through 10/26), you may enter for a chance at prizes of $10 gift card or copy of Cowboys, Creatures and Calico, Vol. 1 or a backlist title of our choice. Winners to be contact on October 27th.